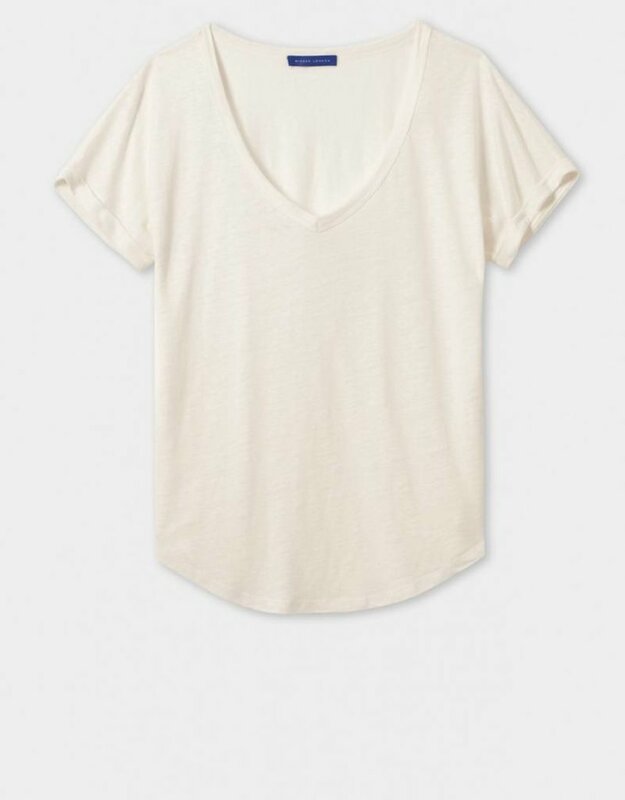 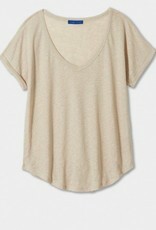 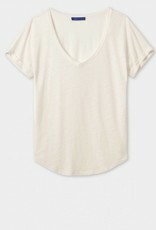 This Pure Linen T Shirt is a summer layering essential. 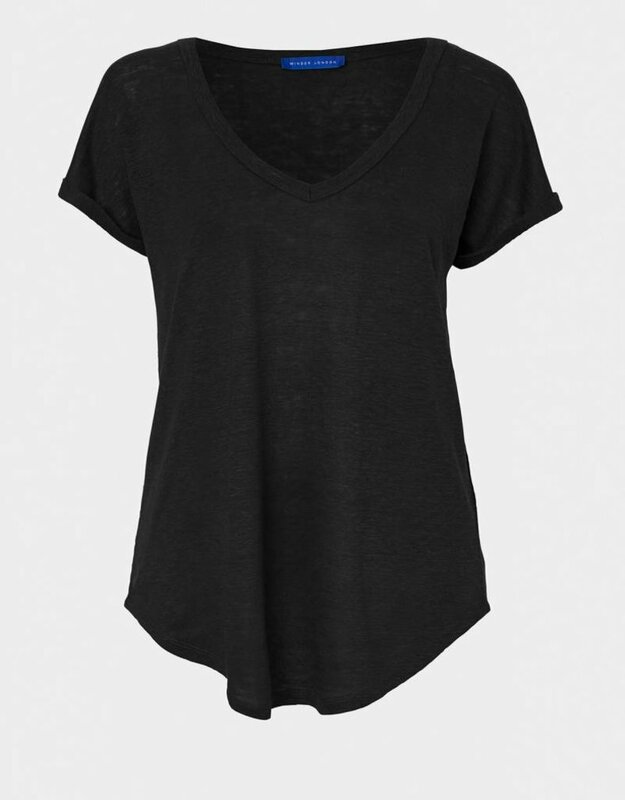 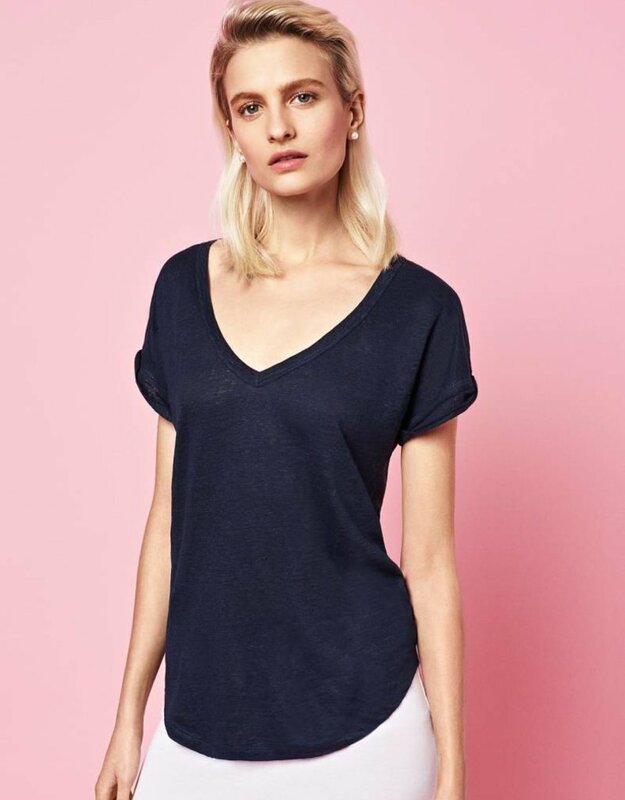 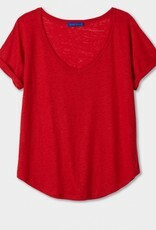 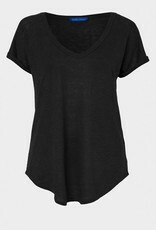 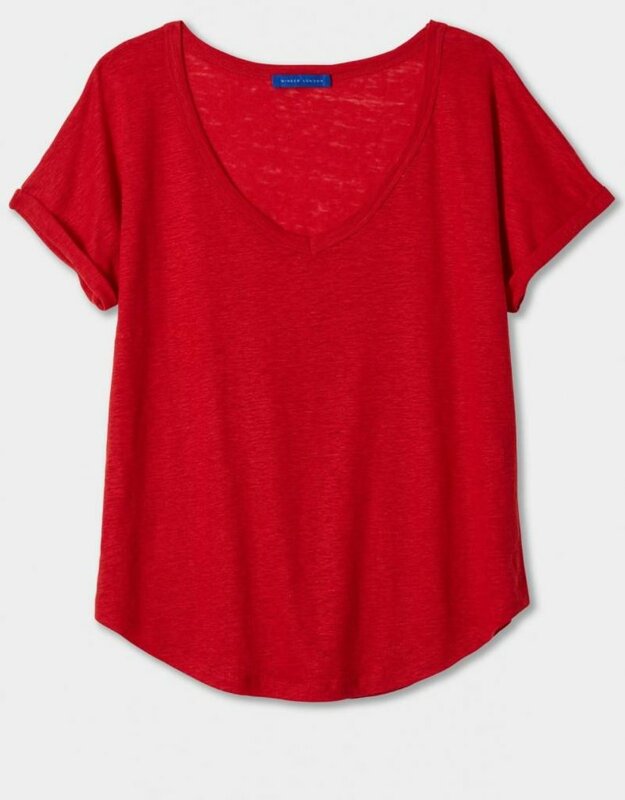 With a scooped V neckline, a curved hem-line and casual turned back sleeves, this style is a great piece to pair with a pair of slim-cut jeans. 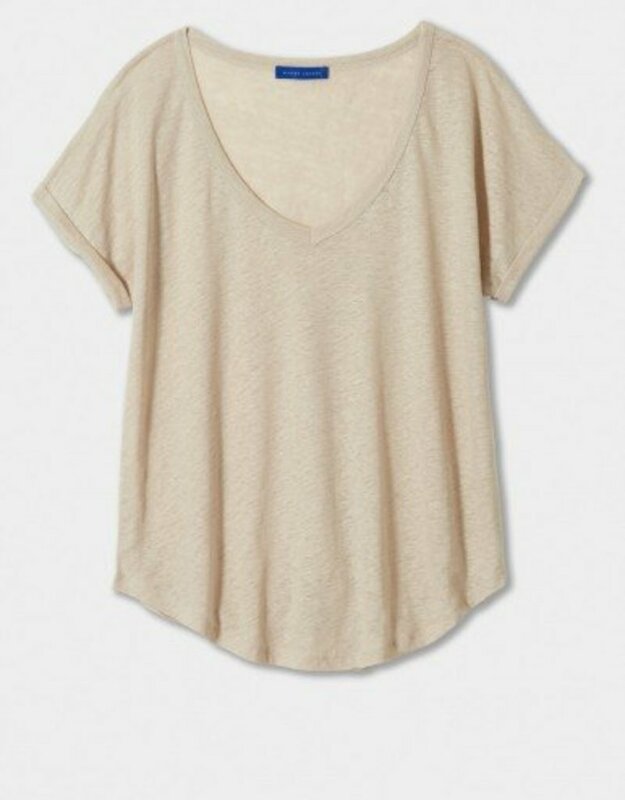 Made from pure linen, this style gets softer with each wash.